Miguel Proulx (pictured right) entered the final day of event No. 28 ($2,500 pot-limit Omaha) at the 2010 World Series of Poker as the chip leader. Although he did not exactly lead wire-to-wire, he ended the day as the only man holding any chips, taking down his first WSOP bracelet and $315,311. There were 596 players who registered for the three-day event, accumulating a prize pool of $1,370,800. There were 54 places paid with a min-cash earning $5,304. Notables who cashed in the event include Adam Junglen (15th), Andy Seth (16th), Chau Giang (20th), Christian Harder (26th) and Scott Clements (28th). The final day of the event saw 12 players return and in less than two hours of play, the final table was set. Proulx was second in chips at start of the final table and he hovered around there for most of the early parts of play. As quickly as it took to get down to a final table, it took just as long to lose the first player at that final table, as Patrick Hanoteau was the first casualty after two hours of final-table play. It would take three more hours before Tommy Le made his exit in eighth place. After the Le elimination, play sped up as the next five eliminations all occurred during level 26 and halfway through level 27, with Proulx knocking out three of those players. By the time heads-up play began, Proulx found himself trailing L.J. Klein by almost 1 million in chips. But Proulx fought hard during the 45-minute heads-up match, took the chip lead, and got Klein to call off the rest of his chips with Proulx holding the nuts. Patrick Hanoteau raised to 70,000 preflop and Karl Gal was next to act. He bet the pot and the action folded back around to Hanoteau. He made the call, putting himself all in. He turned over A K J 7 and was facing Gal’s aces, A A 9 3 . The board ran out 10 7 3 Q 4 , offering Hanoteau no help and he was eliminated. Miguel Proulx raised to 65,000 and Tommy Le made the call. Both players saw a flop of Q 5 3 . Le shoved for the rest of his chips and Proulx made the call. Le showed 10 7 4 3 for bottom pair and a gutshot straight draw. Proulx showed A K 5 5 for a set of fives. The turn was the 7 and the river was the 8 and Le was eliminated. Trevor Pope raised to 100,000 from under the gun and action folded to Miguel Proulx. He re-potted and Pope made the call for the rest of his chips. Pope turned over J 10 9 8 and Proulx showed K K J 7 . The board ran out A 6 3 3 4 , missing Pope completely and he was ousted from the tournament. Karl Gal moved all in for his last 200,000 and Miguel Proulx made the call. He showed down Q J 10 6 while Gal showed K K 8 7 . The flop was good for both players as it came down Q J 2 , giving Gal a flush and Proulx two pair. The turn was the A , helping neither player. But the river was the Q , giving Proulx the full house and Gal was eliminated. Joerg Engels raised to 110,000 from the button and Michael Greco made the call from the big blind. The flop came down 6 6 5 and Greco checked. Engels moved all in and Greco made the call. Engels showed down A 9 9 4 and Greco showed A 6 3 3 . Greco had trips and improved to a full house when the A fell on the turn. The river was the 7 , securing Engels’ fate as he was eliminated. 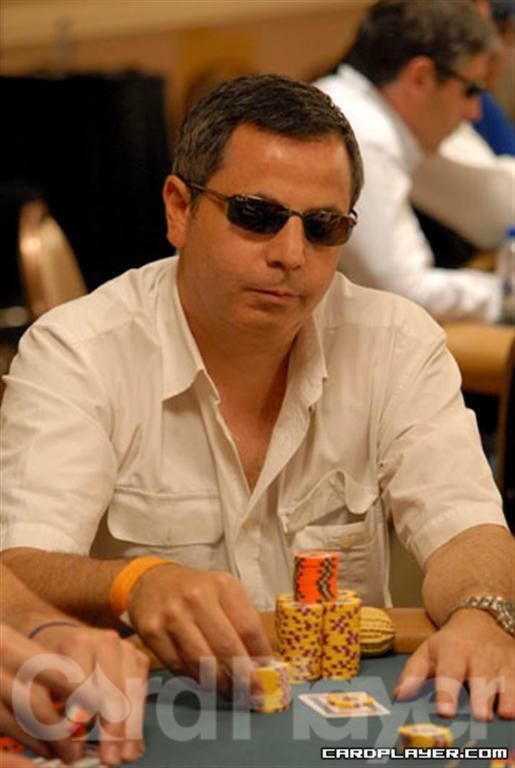 Stephane Tayar raised to 140,000 from under the gun and Miguel Proulx was the only caller. Tayar only had 10,000 behind and threw it into the pot before the flop was dealt. Proulx made the call and showed A K 4 3 , while Tayar showed Q J 9 8 . The board ran out Q 10 2 2 7 , giving Proulx a superior spade flush and Tayar was eliminated. L.J. Klein opened for a raise and Michael Greco moved all in for his last 485,000. Klein made the call and turned over K J 7 6 while Greco showed A 10 10 5 . The board ran out J 8 6 4 5 , giving Klein a straight and knocking out Greco in third place. L.J. Klein raised to 125,000 from the button and Miguel Proulx made the call. The flop came down J 10 4 . Proulx checked and Klein bet 75,000. Proulx made the call and the turn was the 9 . Proulx then led out for 200,000 and Klein made the call. The river was the K and Proulx checked again. Klein then moved all in and Proulx snap-called, showing down A Q Q 2 for the nut flush. Klein mucked and was eliminated in second place, surrendering the bracelet to Proulx.